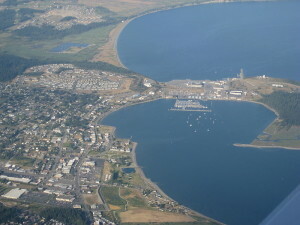 OAK HARBOR, Wash. — Officials in a small Washington town have decided not to prohibit the mentioning of Jesus’ name in city council prayers. This announcement comes almost a month after the city council members of Oak Harbor—an island town of 22,000 residents in western Washington—considered a proposal that would have banned the names of any particular deities from invocations. The proposed prayer policy revision was first mentioned during a May 7th city council meeting. Even though the prayer policy revision was not passed by the council, many local residents were still maddened by the proposal. As reported by the Whidbey News-Times, several local religious leaders were critical of the proposition, and were especially upset by the suggestion that the mention of “a particular deity” should be banned. Even a few city council members were disappointed that the mayor decided to bring up the proposal in the first place. Meanwhile, as previously reported, the U.S. Supreme Court has agreed to take up the case of Town of Greece v. Galloway. Like the Oak Harbor situation, Town of Greece v. Galloway involves the question of legislative prayers’ constitutionality—only this time in Greece, New York town hall gatherings. Ken Klukowski of the Family Research Council stated in a news release that he expects the Supreme Court to uphold the constitutionality of legislative prayers, which would be a major “victory” for people of faith.